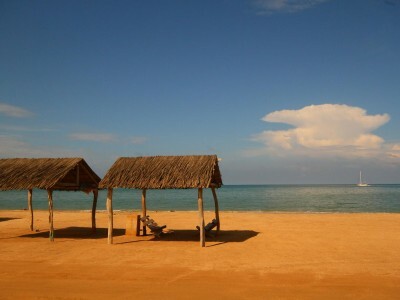 The Colombian Caribbean coast extends from the Golfo de Urabá in the west (Capurganá and Sapzurro) to the desert of the Guajira Peninsula in the east. The snowy peaks of the Sierra Nevada de Santa Marta are striking. At the foot of the highest coastal mountain in the world lies Santa Marta. 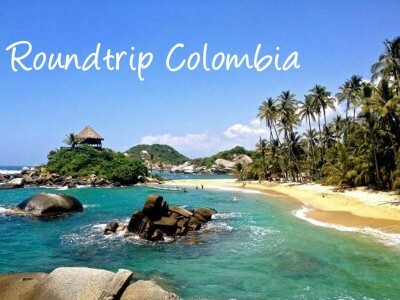 From here you can visit on day trips several abandoned settlements and remains of the Tayrona Indians. 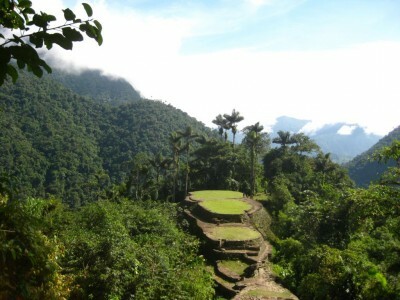 An experience of a special kind is a multi-day trek to Ciudad Perdida, the 'Lost Indian City'. It is terraced and is surrounded by a very special and mysterious atmosphere. In the idyllic National Park Tayrona there are many sandy white beaches, secluded coves and brilliant lagoons that are perfect for swimming and relaxation. If one follows the Caribbean coast in eastern direction, one comes to the village of Palomino with its beautiful beach, which is bordered by two mountain rivers that flow down from the Sierra Nevada and open here in the Atlantic. 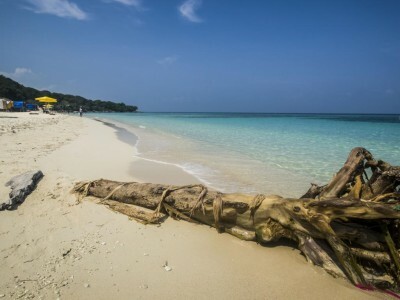 In fact, here you can lie on the beach, enjoy a swim in the waves of the Caribbean and then cool off with a dip in the freshwater river. Also a great adventure is a trip down the river on tubes. Further east, on the border with Venezuala, lies the Guajira Peninsula. This part of Colombia is known for its desert, which is still inhabited by the Wayúu, an indigenous tribe. Beautiful, secluded beaches await the visitor. There are also to be observed, significant colonies of red flamingos and other water birds. 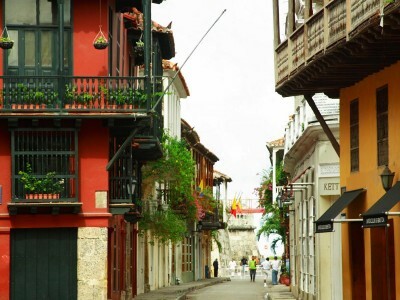 Particularly beautiful cities on the Caribbean coast are Barranquilla and Cartagena. The latter is also known as the Pearl of the Caribbean. She lures with typical Caribbean flair. With its completely walled old city center with fortress ring, the Caribbean beauty is a UNESCO World Heritage Site. 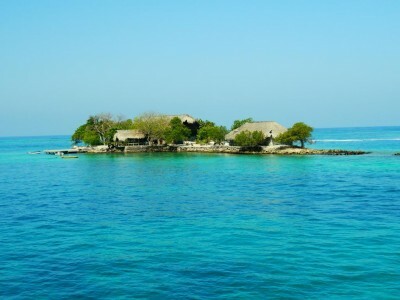 Mounted in front, there are a number of small islands with beaches and crystal clear waters, that are ideal for snorkeling and relaxation (Rosario Islands). Along the coast there are still some natural mangrove forests that form a unique habitat for plants and animals. In addition, here you can still find numerous unspoilt fishing villages with unique charm. 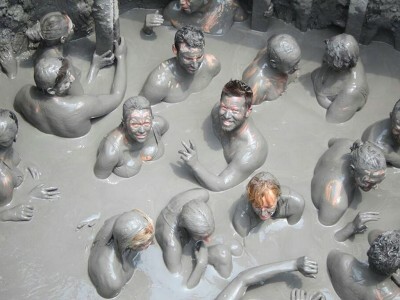 The volacano Totumo is located in the hinterland - the ideal place for a relaxing mud bath. Barranquilla is an extremely cheerful and fun-loving city. She is known for her excellent Arabic cuisine. In the evening salsa sounds breeze through the streets. A special highlight represents the Carnival in February – also named as World Heritage by UNESCO. Near Cartagena, in the interior, lies the colonial village of Santa Cruz de Mompox. At the time of colonization, this community was an important trading center. Located on the banks of the Magdalena River, it oozes history, architecture and romance. A rewarding destination away from the tourist crowds. Also not far from Cartagena, we have the village San Basilio de Palenque. It is considered the first free village of South America. It was founded by escaped African slaves. Many ancient customs and traditions have survived to this day. 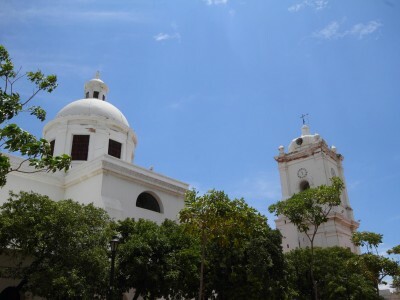 Further inland lies the city of Valledupar. 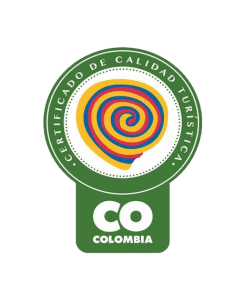 Located on the riverside of Guatapurí, the surrounding area of the city offers plenty of pristine nature, which is ideal for walking. Valledupar is the home of Vallenato, a typical Colombian style of music from the Caribbean. Annually they hold the well-known Vallenato Festival and the whole city celebrates. Nabusimake is a traditional village of Arhuaca Indians in the Sierra Nevada de Santa Marta. It can be reached from Valledupar and is still inhabited by Indians. It is an ideal destination for those looking for natural and authentic adventure. About 700 kilometers off the coast lies the archipelago of San Andrés and Providencia. It rises in the turquoise waters of the Caribbean and the pearly white beaches of the islands sparkle in the sunshine. The crystal clear water provides an incredibly good view of the shimmering coral reefs and the underwater world glowing in all rainbow colors. The islands are ideal for swimming, relaxing and snorkeling.